A comprehensive collection of tongs for a variety of common laboratory requirements. 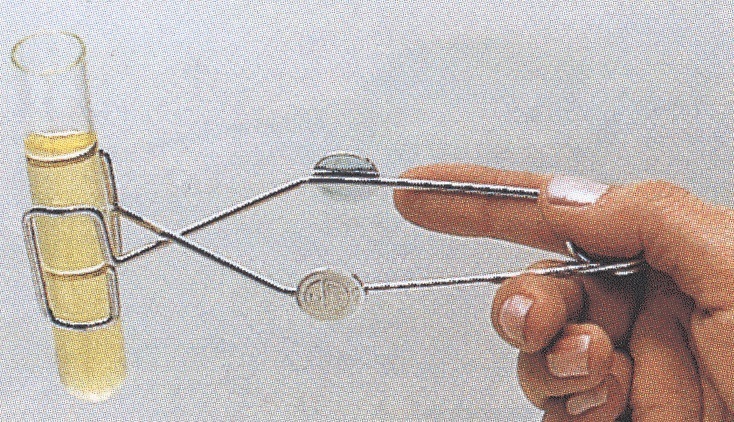 1000285 Test tube tongs made of nickel plated steel, for tubes up to 30 mm in diameter, total length 145 mm. 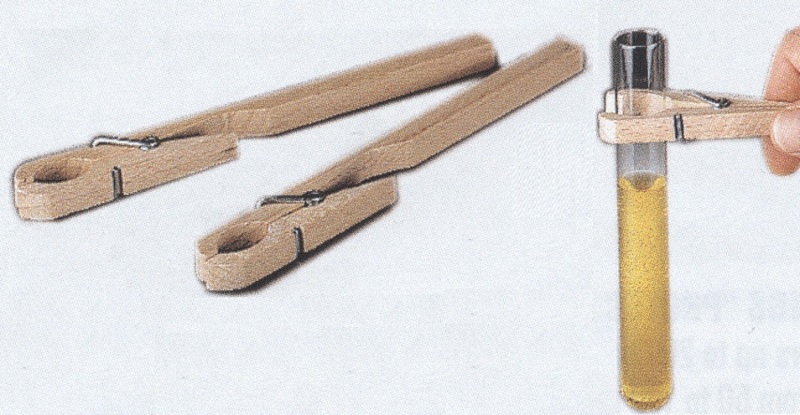 1001094 Test tube tongs made of wood, for tubes from 12 to 25 mm in diameter, total length 180 mm. 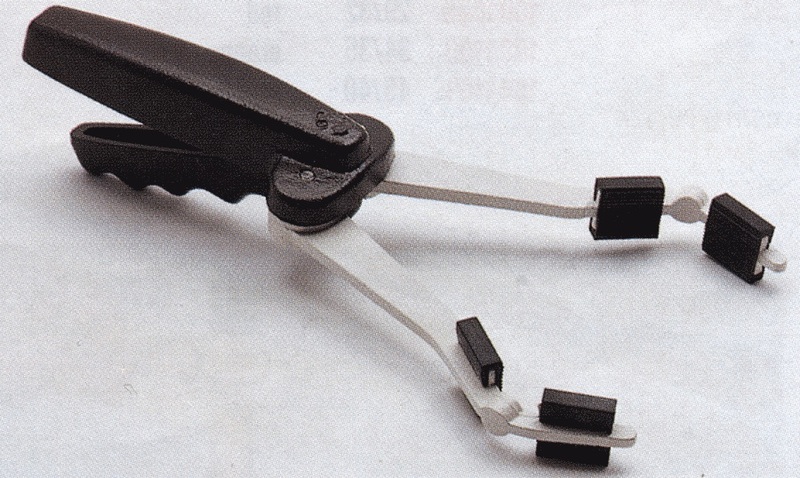 1001590 Crucible tongs with bow, curved tips, and thermally protected plastic coated handles, total length 220 mm. 1001591 Crucible tongs with bow, curved tips, and thermally protected plastic coated handles, total length 330 mm. 1002801 Sterilization tongs made of AISI 304 electro-bright finished stainless steel. Ideal for bandages, syringes, test tubes and instruments. Straight tong ends, total length 200 mm. 1002802 Sterilization tongs made of AISI 304 electro-bright finished stainless steel. Ideal for bandages, syringes, test tubes and instruments. Curved tong ends, total length 200 mm. 1028130 Tongs for flasks and tubes, electro-bright finished ASI 304 stainless steel, for diameters from 15 to 60 mm, tips covered with stabilized glass fiber, total length 300 mm. 1028230 Sterilization tongs for flasks and test tubes, made of AISI 304 electro-bright finished stainless steel. Tong ends covered with stabilized glass fiber, total length 300 mm. 1000283 Dish tongs made of electro-bright finished AISI 304 stainless steel, total length 250 mm. 1000284 Beaker tongs made of AISI 304 electro-bright finished stainless steel clamps beakers from 150 to 1000 ml with diameters from 60 to 100 mm. Tong tips covered with stabilized glass fiber. Total length 450 mm. 7000532 Beaker tongs PROTECVAS clamps beakers up to 2000 ml with diameters from 50 to 120 mm. Jaws protected with rubber pads. Total length 300 mm. 1001331 Beaker tongs, original design with opposite equilibrium, made of electro-bright finished AISI 304 stainless steel, for beakers from 150 to 1000 ml with diameters from 60 to 100 mm. Tong tips covered with stabilized fiberglass. Total length 450 mm.